A very abstract video loop of skulls in bright colors rotating and spinning. Nice neon colored abstract scene. Create a truly special event with this video loop, useful for any kind of visual performance. 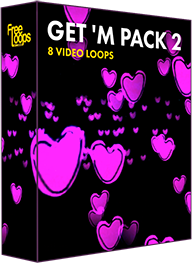 This video loop is part of GET 'M Pack 2.